The inaugural exhibit for the Sculpture Garden on campus at LBC was Root 101, a collection of monumental Redwood sculpture by Bruce Johnson. Born in Oregon, Johnson grew up in the San Francisco Bay area. He attended UC Davis where he received a BA and acquired his Teacher’s Credential. His studio is in rural Sonoma County, on a coastal ridge. Despite his rural location Johnson has found international recognition with large-scale sculpture in Italy, Spain and Taiwan as well as many private and public collections in the U.S.A. Johnson is also a master builder. Of special importance to him is his work on sacred buildings such as the Sea Ranch Chapel, the historic chapel at Fort Ross, a Moon Gate at the Asian Art Museum and especially the exquisitely beautiful Poetry House. Kali was selected by LBC to replace “Five Elements,” the sculpture by Bruce Johnson added to the Center’s permanent collection, which was destroyed by fire. 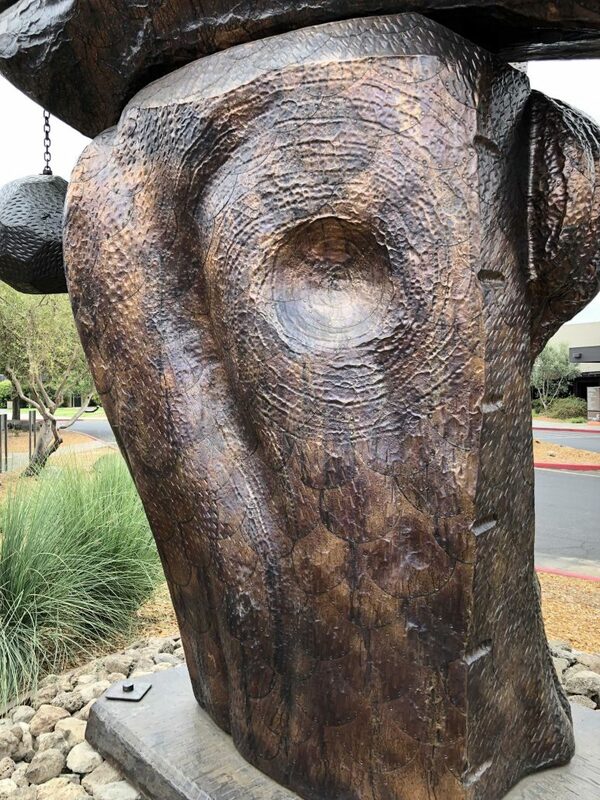 Given that this sculpture now stands as testament to something we lost in the October 2017 wildfires, LBC dedicates this particular art piece to our community that lost so much as a result of the fires. 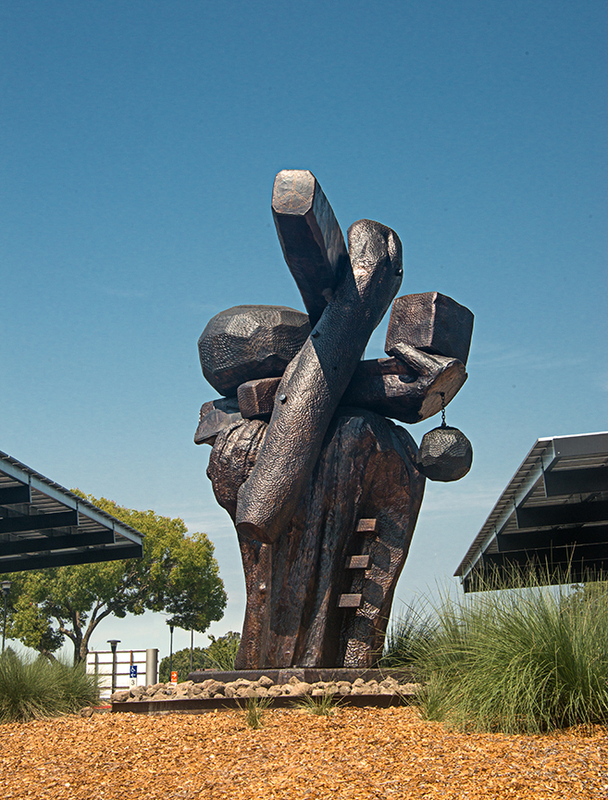 Our hope is that the sculpture, like all the art we present, will be a source of healing and inspiration as we move forward together after the fires. Kali is not a memorial sculpture but it is an energetic affirmation created in the wake of the fire that incorporates salvaged elements from the fire. LBC dedicates Kali, to the the resilience and strength of our community. Lindsay Gauthier and Nancy Lyons created a film of SoCo Dance Theater and guests performing in the Sculpture Garden around Root 101, the inaugural exhibit that featured sculptures by Bruce Johnson.